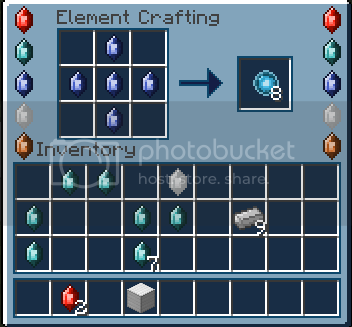 What Power of the Elements Mod does? 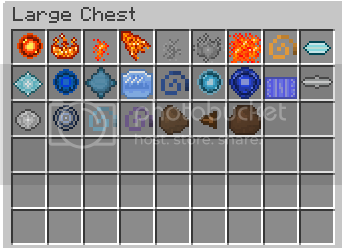 This mod allows you to control and use the elements of fire, ice, air, earth, and lightning. Once installed, you will be able to use abilities that include throwing fire bombs and causing lightning strikes. 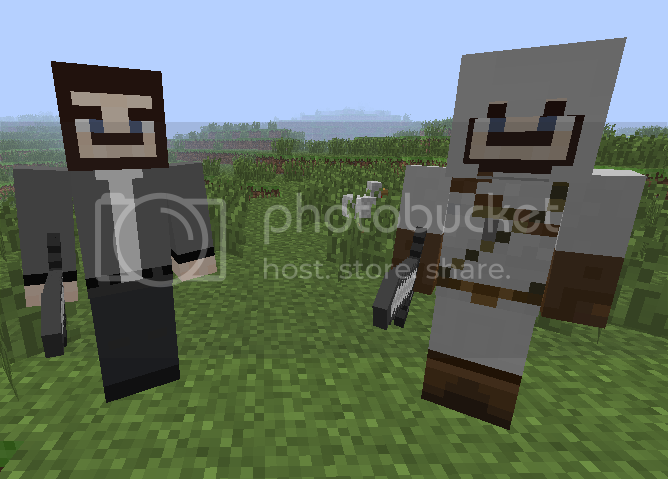 It also includes new mobs, new weapons and some extras. 14. 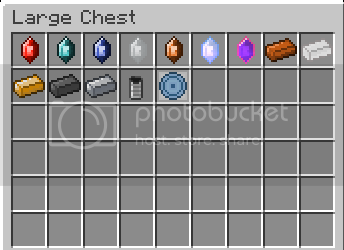 Element core – used to make element crafting table. 3. 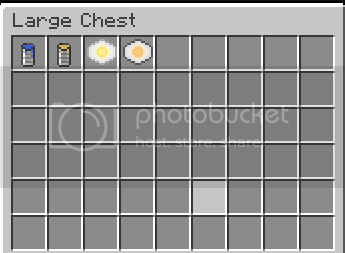 Raw egg – replenishes 1 hunger point, gives hunger potion effect. 1. Fire Blast – throw at mobs to set them on fire. 2. Fire Bomb – throw at the ground to cause an explosion and set the ground on fire. 9. Ice Shard – throw at mobs to slow them. 10. Ice Bomb – throw at a group of mobs to slow them. 11. Water Ball – throw at mobs to slow them down. 12. Water Tether- throw to teleport the player. 15. Lightning Pulse – throw at mobs to send a bolt of lightning to them. 16. Lightning Sphere – shoots a sphere that spawns lightning and an explosion. 17. Electric Field – spawns a wall made of electric blocks. 18. Air Disc – throw at mobs to knock them back. 19. Air Bomb – throw at the ground to cause an knock back explosion. 20. Sound Wave – throw at mobs to knock them back. 21. Air Dash – increase player’s speed. 22. Air Jump – increases how high the player jumps. 23. Earth Rock – throw at mobs to harm them. 24. Earth Spike – throw at mobs to harm them. 25. Earth Wall – spawns a wall of earth stone. 1. 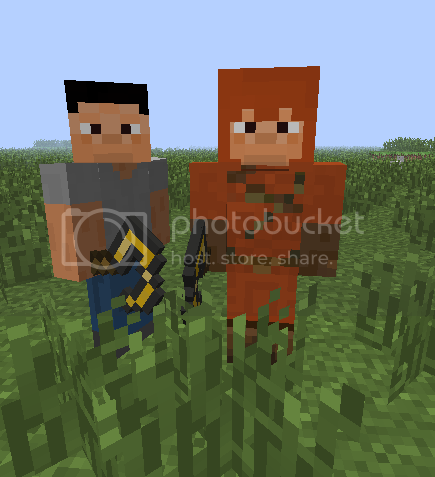 Fire Arrow – sets a mob on fire when it is hit. 2. Ice Arrow – slows/freezes a mob when it is hit. 3. 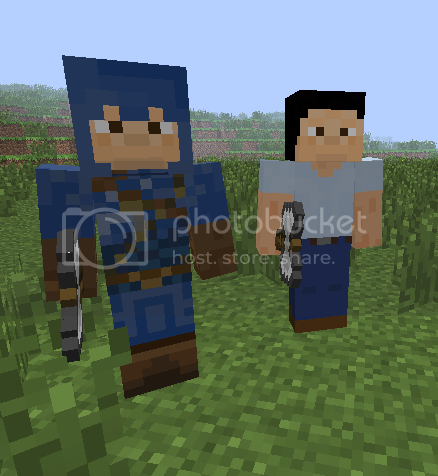 Lightning Arrow – sends a bolt of lightning to a mob when it is hit. 4. Fire Bow – shoots fire arrows. 5. Ice Bow – shoots ice arrows. 6. Lightning Bow – shoots lightning arrows. 7. Cane – Egyptian weapon that is strong as a gold sword. 8. Fire Cane – cane sets mobs on fire when it hits them. 9. Sai – Japanese weapon that is strong as a stone sword. 10. Ice Sai – sai slows/freeze mobs when it hits them. 11. Battle Axe – combat axe that is strong as a iron sword. 12. 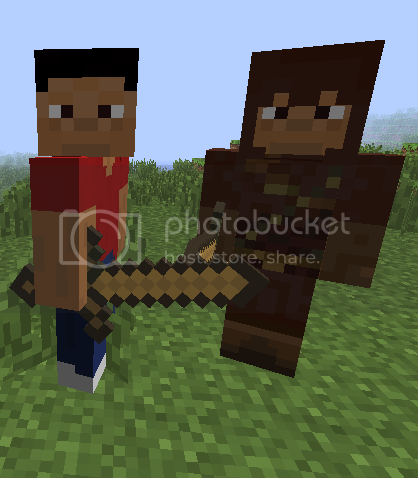 Lighting Battle Axe – axe sends a bolt of lightning to mobs when it hits them. 13. Bronze Sword – sword made out of bronze that is strong as a stone sword. 14. Dagger – miniature sword that is strong as a stone sword. 15. Tomahawk – Native American weapon that is strong as a iron sword. Can be thrown at mobs to cause damage. *Used to crafting anything involving fire, ice, lightning, air, and earth crystals. *Use a dark or light crystal to enchant a elemental weapon. Titans – mobs for each element that can be allied and help you fight enemies. Fire Titan – spawns in the desert and carries a cane. Is resistant to fire attacks. Is allied when clicked on by a fire crystal. Drops fire crystals when killed. Ice Titan – spawns in snow-based biomes and carries a sai. Is allied when clicked on with a ice crystal. Drops ice crystals when killed. Lightning Titan – spawns in the forest and carries a battle axe. Is resistant to fire. Is allied when clicked on with a lightning crystal. Drops lightning crystals when killed. Air Titan – spawns in hill-based biomes and carries an iron sword. Is allied when clicked on with a air crystal. Drops air crystals when killed. Earth Titan – spawns in forests, plains, and jungles and carries a bronze sword. Is allied when clicked on with a earth crystal. Drops earth crystals when killed. 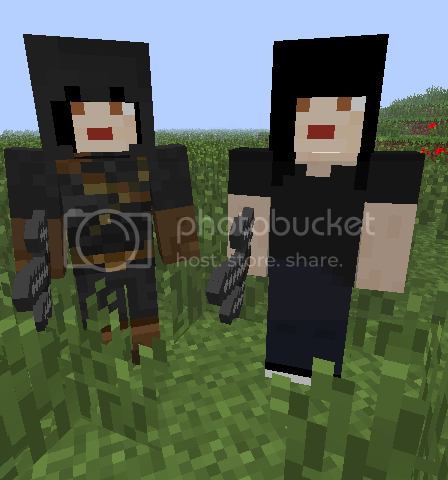 Soldier – spawns in the forest and plains. 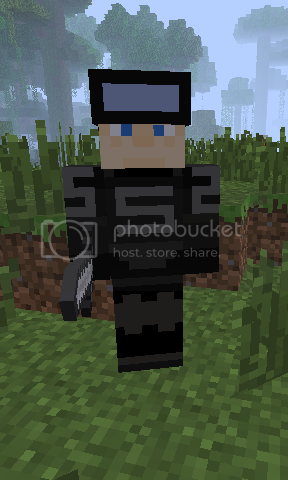 Carries an iron sword. Hunts and attacks titans. When killed, rarely drops crystals. 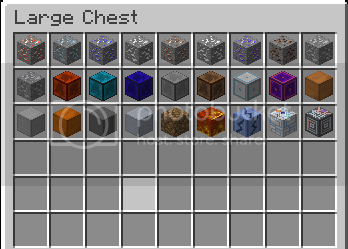 Added Forge Ore Dictionary support. Add tool tips for weapons. 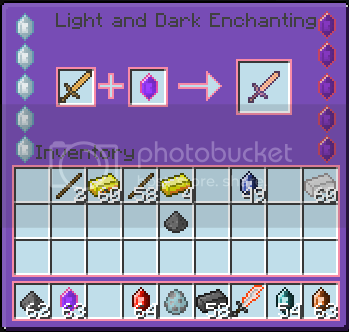 Fixes a bug that causes the game to crash when shift-clicking when using the light and dark enchanting table. 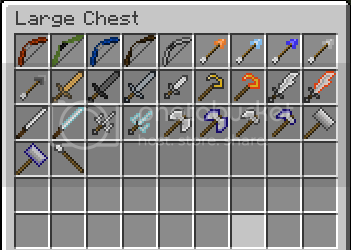 Fixes a bug that makes the element crafting table and the light and dark enchanting table not give back the players items in the slots when they exit the game.